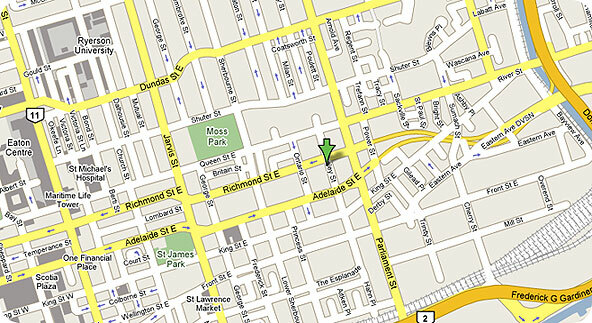 We are located at 110 Berkeley Street, in downtown Toronto, one block west of Parliament Street, just south of Richmond Street. It is off the Don Valley Parkway, near the Gardner Expressway, with streetcar lines north of Berkeley Street along Queen Street and south of Berkeley Street along King Street. 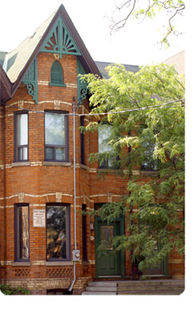 It is an historic Victorian house that provides a private, relaxed and comfortable ambience. Many of our clients have been highly complimentary about our premises, pointing out how peaceful and tranquil an environment it truly is and so “beautifully decorated”.